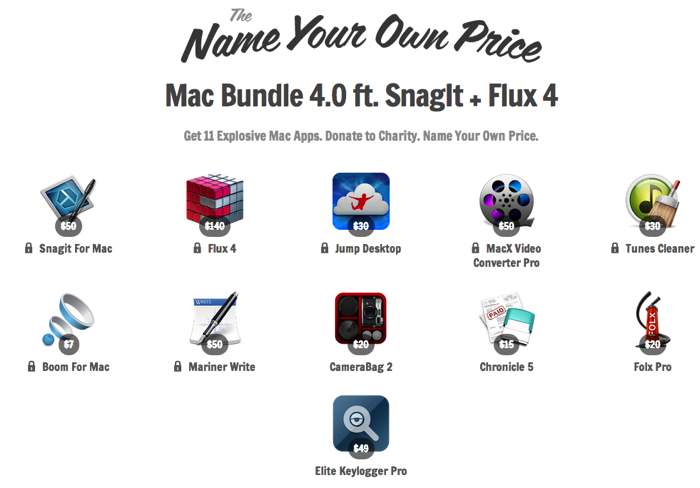 The Name Your Own Price Mac Bundle 4.0 has arrived and features 11 fantastic apps, headlined by SnagIt and Flux 4. This is $461 worth of Mac software that’s available for over the average price of $8.37 as of writing! 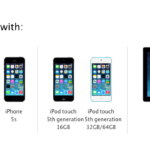 If you pay under the average price, you only get Camerabag 2, Chronicle 5, Folx Pro, and Elite Keylogger Pro. Not only do you get to pay what you want, but you also help donate to charity. If your donation makes the top leaderboard you’ll be entered into a draw for a brand new 11-inch MacBook Air (winner announced two weeks after the sale ends). Click here to jump on the Name Your Own Price Mac Bundle 4.0, and get in before the average price jumps higher!